A CHART, said to contain pretty recent information on the state of play in the negotiations for portfolios at the European Commission, names Phil Hogan in the role the Government has long been lobbying for — namely, Agriculture. However, according to the Financial Times’ Peter Spiegel who posted it this afternoon on his paper’s blog, the information comes with a “serious health warning”. The chart includes glaring inconsistencies, unbelievable political gambles and factual inaccuracies – all set amidst a few things that ring absolutely true. He decided to go ahead and publish it anyway, noting that it came with a “serious health warning”. There’s been speculation that Hogan, Ireland’s commissioner-designate, may miss out on the much sought-after portfolio. Speaking at the weekend, Taoiseach Enda Kenny said he had told newly-elected European Commission president Jean-Claude Juncker that Ireland would be interested in an EU role in the area of “jobs, investment and growth”. Juncker began interviewing commissioners-designate yesterday. An announcement is expected at some stage next week, with nominees set to answer questions before European Parliament committees later this month . 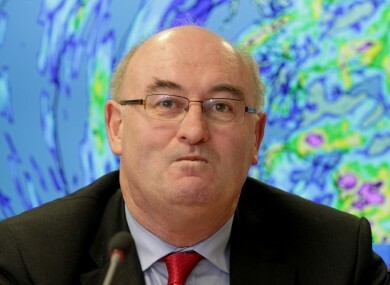 Email “Leaked chart names Phil Hogan as Agriculture Commissioner ... but can it be trusted? ”. Feedback on “Leaked chart names Phil Hogan as Agriculture Commissioner ... but can it be trusted? ”.